This blog was originally posted on the Center for Financial Inclusion Blog. These findings can be contrasted with the results of six RCTs published in January by the American Economic Journal: Applied Economics, which cited limited evidence of ‘microcredit’ alone transforming the lives of the poor. In many ways, that was not surprising. There is only so much that microcredit alone can do to address a phenomenon as complex as poverty, especially within the rather short, 18-month timeframe of a research study. This partly explains the diversification most financial service providers have made into savings, microinsurance, financial education, and other models of financial inclusion that integrate different development services. While the transformative effects of microcredit alone — or even microfinance — remains up for debate, it is now clear that access to savings and credit provided together with other wrap-around services not only provide a viable pathway out of poverty for the poor, they do so for the very poorest! 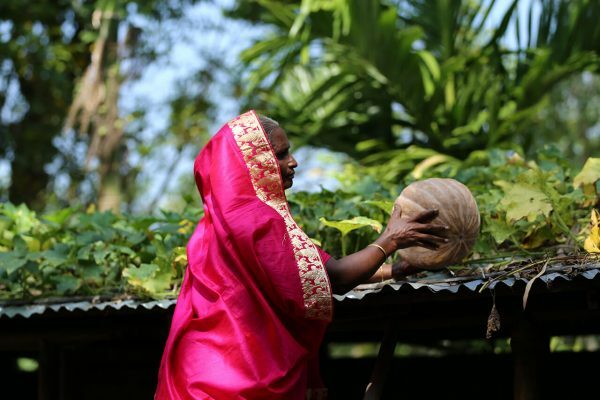 Following 30 years of work in building livelihoods for the poor, largely through microfinance and agricultural extension, BRAC learnt the hard way that we were not making effective poverty reduction gains for those most in need. We were consistently failing to reach the millions of households at the very bottom. Classified as the ‘ultra-poor,’ this sub-segment of the extreme poor, who live on less than USD 0.80 per day, fail to meet their daily calorie requirements, are chronically ill, and live on the fringes of society. In these circumstances where basic needs are unmet, microfinance alone can do little to provide a pathway out of poverty. In 2002, BRAC developed a model designed to create livelihoods for the ultra-poor in a way that also addressed the other dimensions of abject poverty creating barriers to their development. 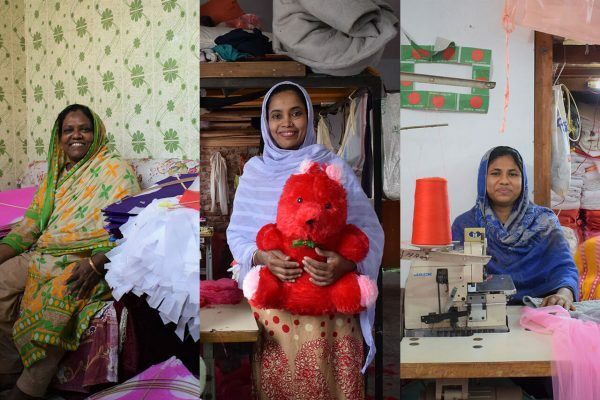 Capitalising on our previous social safety net programme experience, BRAC’s targeting the ultra poor programme (the basis of the graduation approach) combined asset transfer with livelihood development and social support. For two years, clients receive an integrated package of cash stipends, an asset (such as a cow or chickens) with training, and basic healthcare. Early into the programme, clients cultivate strong savings behaviour and learn the basics of financial management. The programme also includes a large social component: regular household visits from our staff and integration in the community. 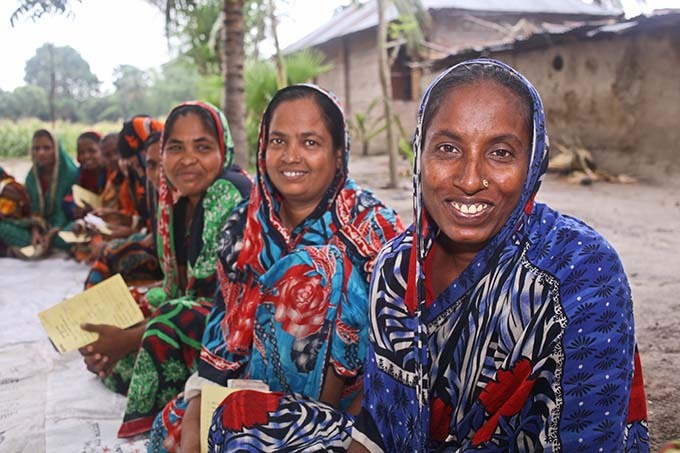 Notably, the model in Bangladesh does integrate microcredit for some clients; 70 per cent of the graduates in Bangladesh actually received their assets as ‘soft loans,’ which they repay over the course of two years. The results have been remarkable. Since 2002, 95 per cent of the 1.4 million clients who have come through this programme have graduated from ultra poverty. The programme is costly in one sense because it’s grant-based and financially unsustainable, but the social returns are high and extend well beyond the end of the intervention period. An RCT has shown that even years after members graduate, most continue to experience growth in their household income and improved well-being. But this is not a success story limited to Bangladesh. 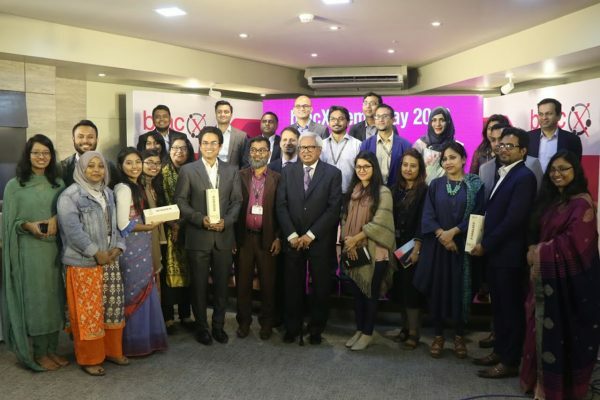 An initiative led by CGAP and the Ford Foundation sought to test the replicability of the BRAC model by piloting it in several contexts internationally. The RCT results published in Science, which covered pilots in India, Pakistan, Ethiopia, Ghana, Honduras, and Peru, show definitively that they were successful. In all six of the countries studied, all treatment households witnessed significant improvements across a range of indicators that continued beyond the end of their programmes. Today, the graduation approach is continuing to break ground with a range of other actors that include microfinance providers, multilateral agencies, NGOs (eg, Fundación Capital, UNHCR, Concern Worldwide) as well as governments looking to improve costly social safety net programmes that protect the poor from destitution but fail to put them on a ladder out of poverty. As a sector that has come under fire for failing to make conspicuous reductions in poverty, the success of ultra poor graduation programmes carries notable implications for the role that financial services can play in putting millions onto pathways out of extreme poverty. One is a lesson to microfinance providers that, actually, the extreme poor can be extremely credit-worthy — once the initial investment is made. Indeed, some of BRAC’s most reliable and disciplined microfinance clients are graduates from our ultra poor programme. Microfinance institutions may not be the ones to make that investment, but they can help ensure that ‘graduates’ of such programmes have a bridge that transitions them from ultra poverty into mainstream microfinance. 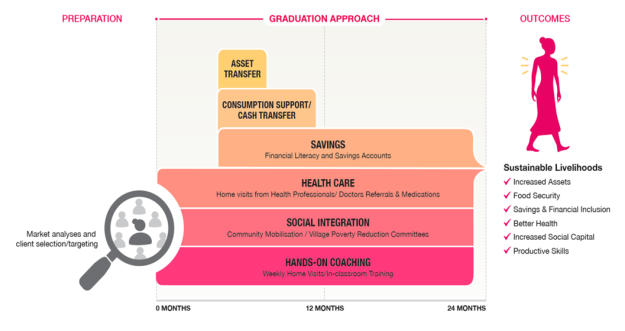 Secondly, this model shows that financial services, when integrated within a broader set of wrap-around services, is unquestionably transformational, even for those in the most desperate forms of poverty. Critics will likely ask, which are the most crucial elements? Is it financial access that is making wrap-around services transformational, or is it the wrap-around services that make financial access transformational? The answer is most likely some combination of the two, but so long as this interaction is producing these results, I am satisfied in knowing that access to financial services remains a vital ingredient in the solution to extreme poverty. Shameran Abed, BRAC’s director of microfinance, joined the Microfinance CEO Working Group in January. He joins the Working Group’s efforts to support the positive development of the microfinance industry and brings tremendous insight into the discussion on pathways out of poverty.